MOSCOW (AP) — The Russian Orthodox Church warned Friday that it would sever ties with the leader of the worldwide Orthodox community if he grants autonomy to Ukraine’s Orthodox Church. 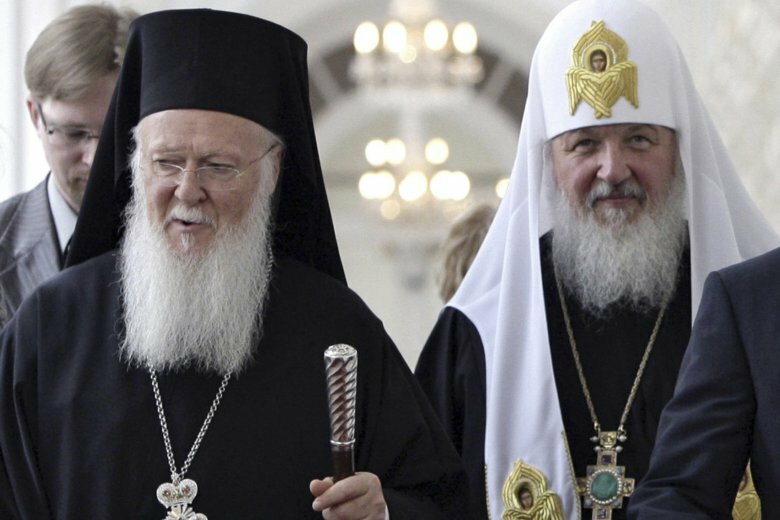 The stern warning follows Ecumenical Patriarch Bartholomew I’s promise to allow the Orthodox Church in Ukraine to be autocephalous, or ecclesiastically independent. The Russian church, the world’s largest Orthodox communion, fiercely opposes the decision by Bartholomew, who is considered the “first among equals” of Orthodox leaders. Moscow Patriarchate spokesman Vladimir Legoyda warned Friday it will “break the Eucharistic communion” with the Istanbul-based Ecumenical Patriarchate if it makes the Ukrainian church autocephalous. Ukrainian President Petro Poroshenko, who is running for re-election next March, has pushed Bartholomew to grant independence to the Ukrainian church. His efforts received a fillip earlier this month when the Ecumenical Patriarchate announced that it was sending two bishops to Ukraine as a step toward declaring ecclesiastical independence for the church there. The Russian Church responded by declaring that it would not participate in events headed by the Ecumenical Patriarchate and would not even remember Bartholomew in its prayers. Father Nikolai Balashov, a deputy head of the Russian church’s foreign relations department, pointed at Friday’s seizure of a church in the Ivano-Frankivsk region of western Ukraine by supporters of the Ukrainian church’s autonomy as a sign of what might happen if Bartholomew grants it ecclesiastical independence. The Ukrainian Orthodox Church that is part of the Moscow Patriarchate said right-wing radicals broke into the Trinity Church in the Ukrainian village of Bogorodchany, beat up a priest and several others and then drove believers away and locked up the building. Regional police confirmed that two people were injured in a scuffle but denied any religious undertones, saying the clash was triggered by local authorities’ decision to hand over a church building to a music school. The Moscow Patriarchate said about 50 churches in western Ukraine have been seized by the schismatic church in similar attacks in recent years.